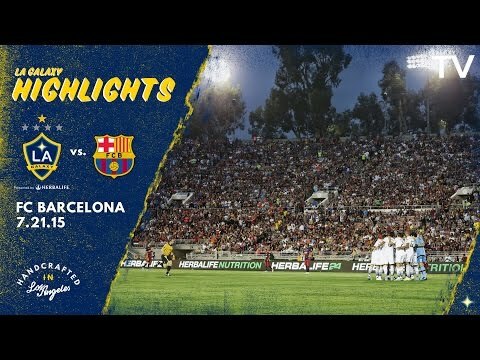 Watch the highlights from LA Galaxy's 2-1 defeat to FC Barcelona as part of the International Champions Cup. Want to see more from the LA Galaxy? Subscribe to our channel at http://www.youtube.com/LAGalaxy. Facebook: http://www.facebook.com/lagalaxy Twitter: http://www.twitter.com/lagalaxy Want to check out a game? Visit http://www.lagalaxy.com to view upcoming matches and purchase tickets!